I picked up this three book omnibus because we found three later books in this series used. Michael read one--book 7 I think--and wasn't very impressed. I figured that starting a series at book seven probably wasn't the best idea, and so found a copy of the first three books together (Three books for one! And I got it used! Deal!) I was far more impressed by the first book than Michael was starting on book seven. Unsurprisingly. 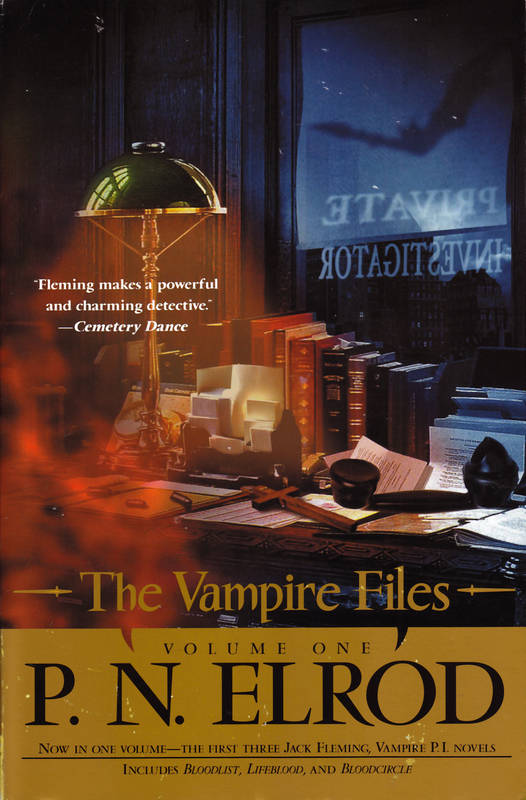 I'm fond of hard boiled mysteries (in fact I've been perusing used book stories for Raymond Chandler and Mickey Spillane), and I like fantasy, so I was predisposed to like this (now I feel like I have to go back and figure out who wrote the first vampire mystery. Copyright in 1990, this comes a year before Tanya Huff's Blood Price. Bloodlist is actually pretty good. It has the hard boiled tone down pretty well, and I enjoyed the fact that the story is set in 1936. All three books in this collection are set in 1936. I'm very curious as to whether Jack Flemming moves through time or remains in the 1930s. However, I'm not 100% convinced by the setting. The details are correct, but I found myself forgetting that we were in Capone's Chicago instead of modern Chicago. Though to be honest, I didn't mind. And as I've said previously, I'm fascinated by the way that different writers interpret the vampire mythology. Jack can enter a room uninvited, isn't bothered by crosses, and can change into a mist, but can't tolerate food or alcohol, and has trouble crossing water. I like the way that different writers give vampires different strengths and vulnerabilities. This was an interesting story, and although I didn't necessarily believe that they were in Chicago, the dialog was fun anyway, and the mystery was interesting. And I've already started the second book. Several weeks have passed since the events of Bloodlust, and Charles Escott offers Jack a part in his investigative services. But the next case they end up investigating end up being a search for the whereabouts of Jack's lover Maureen--the vampire who sired him. Despite the fact that Jack has decided to give up on Maureen. As the series progresses, it seems that of the two, Escott is far more willing to use Jack's powers to their advantage than Jack is. Jack is uncomfortable using his vampiric powers to confuse people, while Charles sees it as useful for some of their investigations. As far as secondary characters, I actually like Gordy better than Bobbi. Not that there's anything wrong with Bobbi, she just doesn't have any depth. She's pretty, she can sing, and she accepts Jack as he is. But I don't find her interesting. Of course that's pretty much par for the course in 30s mysteries, but still. And I was sorry not to see Coldfield in this book, as I found his character very interesting. However, I'm not sure how much they'd actually have seen of him, since segregation was quite strong in the 1930s. The mystery, I think, may have been a little strong in this book than in the previous. Although Jack has to discover who killed him--and why--in the first book, the story is as much learning about who he is and what he does as about the mystery. In Lifeblood we know the main characters, and we know what Jack can do, so we got to concentrate a little bit more on the mystery. Of course the solution to this mystery also gave us more about Jack's past--as well as Maureen's. Again, although he mentions all the right cars and books and movies and restaurants, the dialog still doesn't feel like 1936 Chicago. The feel of the story is more modern to me, despite the Great Depression trappings. But that hardly lessened my enjoyment. Since, after all, this is a story starring a vampire. So it doesn't really have to perfectly fit the time period if it doesn't want to. A nice follow-up to the first story, and I've already started on the third (easy enough, since all three stories are in the same book). The third book in The Vampire Files series, Bloodcircle, seems to clear up the last bits of Jack Flemming's past. Jack and Charles Escott decide to travel to New York to see if they can discover what happened to Maureen. I have to say that it's a good thing Jack's already dead, because he really takes a beating in these books. Last two books he got shot repeatedly--several times in the head--plus he's gotten the crap beat out of him in every book. Of course, being dead already, he doesn't have to worry about health insurance of paying hospital bills. So he's lucky there. Although there is nothing in this story that particularly struck me or stuck out, it was still interesting--a decent mystery--and it was still fun to read. I'm still not convinced of the setting however. It's not she's done anything wrong as far as the details--the details are all spot on--I just never feel like I'm reading story set in the 1930s. There's something about the dialog that still feels modern to me. But again, it's not something that kept me from enjoying the story, it's just something that sits in the back of my mind as I read. I'm looking forward to the next Jack Flemming omnibus. We've already got seven, eight, and nine. Now I just have to wait for The Vampire Files II when it comes out in September. It probably means something that when I started the first story in The Vampire Files Volume Two I had to stop and think, "Wait a second. Which vampire was this? Who did he kill in the last book?" It possibly means that I'm reading too many vampire mysteries. But that's okay, because they're fun. While wandering around the gardens, Jack manages to rescue Evan Robley from a probably justified beating, and after meeting Evan's sister as well as the artist Alex Adrian, they end up carting Evan back home. From there, mayhem and murder ensue. Although I like the setting of 1930s Chicago, what I enjoyed most about this story was the mystery. There's something about murder mysteries, and the way that those who write them aren't afraid to kill of characters (after all, it would hardly be a murder mystery of someone didn't get killed.) The vampire bits are interesting, but secondary to the mystery. And it is, after all, interesting to have a private investigator who isn't harmed by bullets, but can't testify in court, since trials and hearings occur during the day. The frustrating thing about this story, however, is that it kept constantly referring to events in the previous story. I mean--I read the last book in June! And I've several other vampire books since then! Give me a bit more of a hint about events if you're going to keep referring to them! Otherwise, I enjoyed the story, and I'm starting to find Bobbi slightly less annoying. But really, what is it about hard boiled detectives and their girlfriends? I'm having a hard time coming up with a detective whose girlfriend I actually like. But Bobbi seems to have become less of a bimbo over time, so she's becoming easier to like. 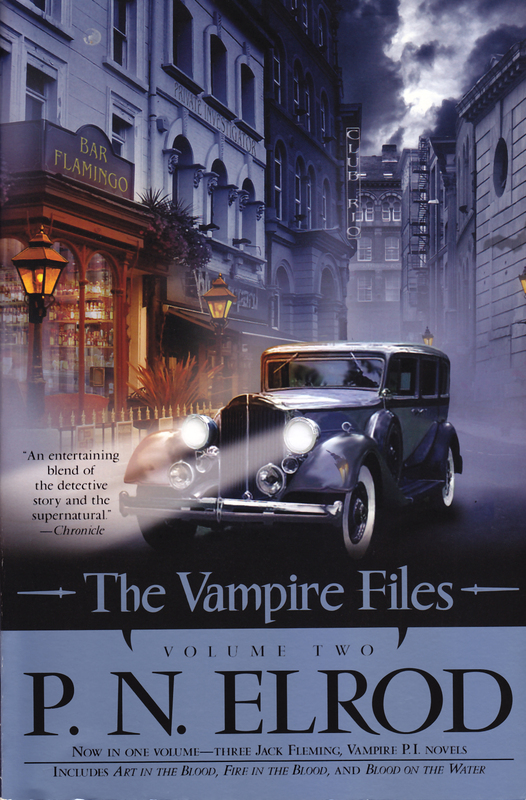 If you like supernatural stories, and you like mysteries, then you should like the Jack Fleming Vampire Files collections. However, start at book one and work your way forward. I have to say that I found Fire in the Blood disappointing on multiple levels. Although the mystery wasn't bad, I know I've read at least one of the major conclusions. So it was only the details that were a surprise, rather than the mystery in it's entirety. And I was sorely disappointed in the ending. The final paragraph was nothing more than a teaser for the next book. I hate that. The major surprise was the trail of bodies--there was a pretty high body count in this story. Well, higher than I had expected anyway. Jack Fleming and Charles Escott are hired by a millionaire Sebastian Pierce to discover what happened to the bracelet his wife left to their daughter, spoiled brat and heiress Marian Pierce. Mr Pierce suspects that one of Marian's less than savory friends has heisted the jewels, and wants Jack and Charles to recover the bracelet. About the only thing I really liked (or at least found very interesting) in this story was the sub-thread about Doreen Grey, and what happens between Doreen and Jack. Except of course, that was yet another thread left hanging, so we don't actually learn what is really going on. Don't get me wrong, I don't mind secrets and stories that take multiple books to unfold. I just don't like it when so much of what seemed a best a mediocre books finishes with little more than a "Read the Next Book!" ending. I pulled into the street and stepped on the gas. In the rearview mirror, I chanced to look back, and saw a silent Cadillac with smoke-dark windows doing the same. Snake, I thought, and my hands began to tremble. On a more positive note, I do like the way that Jack still has limits to his powers, and has not become an invincible being. And again, I like the fact that when this private eye gets knocked out and seriously harmed, I don't have the voice in the back of my head asking, "who is going to pay all these hospital bills?" He's a vampire. He heals all on his own! I also liked the fact that she was willing to create an entire book of unlikable characters, and to have Jack and Charles walk the line between "what needs to be done" and brutish thug. I just wish I could have found the story a little more interesting. I also cannot understand why Jack was asked to leave Top Hat Club. He got jumped--he didn't start the fight himself. Sure, it got him backstage with Bobbi, but it didn't make any sense to me that he was asked to leave. So, I can see that this reading this book is going to be a requirement for the next book. I just hope that the next book doesn't end with a cliff hanger as well. Okay. Now I'm starting to get frustrated. This is the second book with an unfinished story arc. It's not quite as bad as the previous book, but it's still frustrating. Blood on the Water picks up immediately after the end of Fire in the Blood. And by immediately, I mean moments, not days. Vaughn Kyler is out to get Jack Fleming--and by get, I mean kill. Jack's first goal is to get Bobbi to safety; his second goal is to square things with Kyler. This story spans a 24 hour period--a period during which Jack is dead to the world for several of those hours. And at the end of the 24 hours, Jack is out of his current dilemma, but things are really no better, and nothing has truly been resolved. And that's the crux of my problem. Next to nothing has been resolved. Jack is still in danger, and there is no resolution in sight. This series started out along the lines of a hard boiled mystery, and in the first four books they read like a mystery--a problem is presented and resolved in a single book. There is the underlying arc of Jack learning more about his condition, but that's fine, since the characters have to continue to grow through the series. But Blood on the Water refuses to resolve the story begun in Fire in the Blood, and the focus becomes more and more upon Jack and his powers and issues. Charles and Bobbi are much more in the background--in fact we barely see Bobbi at all. And the worrisome changes we see in Charles in the previous book are hardly mentioned, except in passing. Essentially, this book frustrated the heck out of me, and I'm really hoping that the next book resolves this current story arc, and that she sticks to single book story arcs from here on out. 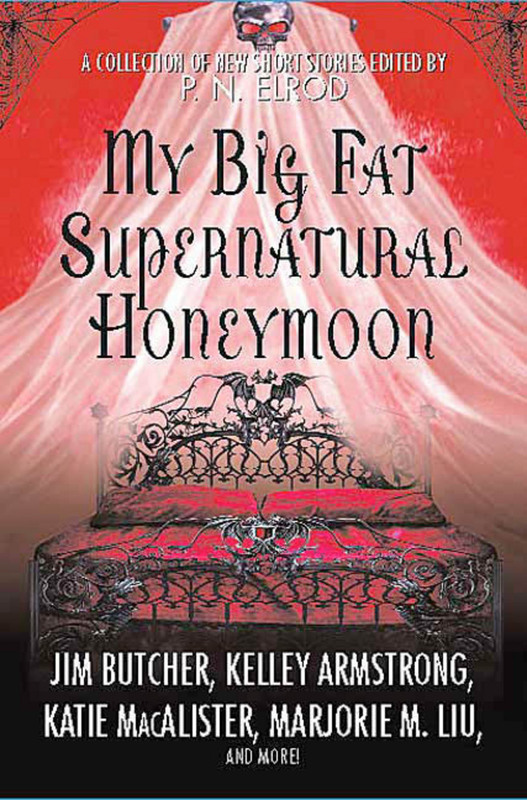 If you have no read a book in The Vampire Files series, this is definitely not the place to start. My recommendation would be to start at the first book, and read through Art in the Blood. I'll let you know whether it's worth it to continue on after that. 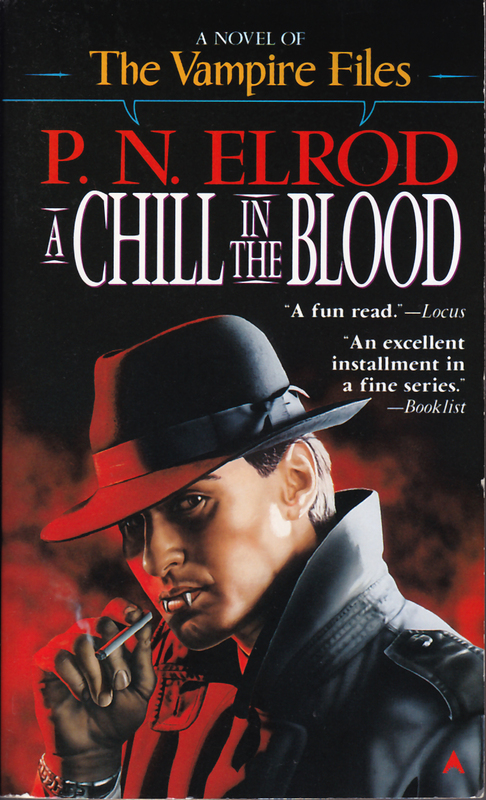 The best thing about A Chill in the Blood is that it finishes the story arc started in Fire in the Blood. Angela Paco and Vaughn Kyler are fighting for control of Chicago and Jack and Charles are caught between, with both gangs believing that Jack is the root of their problems. The other thing I liked was Shoe Coldfield. I like his character quite a bit, and we learned more about him in this book. However, we learn little about Charles, Bobbi hardly appears at all, and Jack is too busy spending his time thinking about how to get out of his situation to worry about his hypnotic powers. As far as the quality of the book, it was a fast read, and I found it hard to put down, but that was partially because I wanted to find out how everything turned out, in the hopes that we could move onto something else. I also thought that Angela Paco got off really easy, all things considered. In many ways she seems as bad as Kyler (and others) yet because she's good looking, and looking out for her dad, her actions are more justified? But, as I said, the story arc is over. Angela Paco and Kyler are both taken care of, so we can finally go somewhere else. And I hope we do. Although it'll be awhile before I find out. I'm taking a break from Jack Fleming, and hoping that when I come back, we'll have returned to the single story arc books. I don’t know how I messed it up, but somehow I thought that The Dark Sleep came after Lady Crymsyn. This would be wrong. The Dark Sleep precedes Lady Crymsyn. Luckily, both are stand alone books, so I didn’t lose anything by reading them out of order. This was a somewhat complicated mystery with lots of twists. But what I liked best about it was that we finally learned something about Escott’s past. Shoe Coldfield has made insinuations through multiple books that Charles is haunted by his past, but when pressed, repeats that Jack should get Charles drunk and press him for the story himself. One thing that seriously bothered me was the “flashback” of Shoe telling Jack what happened to Charles. I didn’t mind the idea of it, what I minded was that Shoe was supposed to be telling Jack what happened, but the first line of the event was Escott's reflection on the events. That disconnect completely threw me from the story, because I had to go back and make sure Charles hadn't gotten up to tell the story himself (he hadn't). I didn't find the mystery particularly strong, but finally learning some of Escott's history made up for it. It isn't a nice history mind you, but we do finally learn it. After finishing the last three books, I was reluctant to read this book, for fear it would continue what felt to me as a downward spiral. 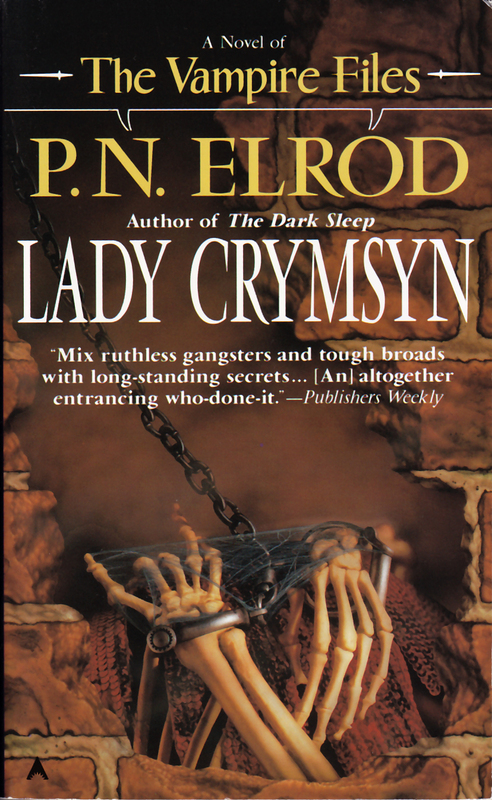 However, I was pleasantly surprised to discover that Lady Crymsyn went back to the things that I had liked so much about the previous books--an interesting mystery, a fast pace, and a sharp story. The story moved quickly, and although I picked up the book only to read a few chapters to see if I was going to like the story, I ended up nearly finishing the book, with one of those "just one more chapter" evenings. Jack has taken the money he re-appropriated in Blood in the Water, and leased a nightclub he is repairing and planning on opening, called The Lady Crymsyn. Unfortunately for him, the workmen discover a body bricked up in the basement, a la Poe's "The Cask of Amontillado." As I said, I found this to be a huge improvement over the last three books. The story arc is self-contained, and the story itself is fast paced. Although Jack hasn't resolved his issues, he seems to have moved past them. And although Charles is still an enigma he seems more stable in this book, and plays a more reasonable part in Jack's life, although nothing like the part Charles plays in the first couple books. Charles is continuing to work as a private investigator, but his cases do not involve Jack, who is wrapped up in getting his nightclub ready for opening night. If you stuck through the past three books, then you'll be well-rewarded with Lady Crymsyn. Although past events are mentioned, the current story doesn't hinge upon those events, and so this would be an acceptable place to jump into the story, if you did not have access to the previous books. Jack Flemming is in trouble. He’s put his best friend and partner in the hospital, and the mobsters from New York won’t leave him alone. Even worse, one of the mobsters is actually a vampire, and in a strange twist of fate, Jack is ordered to keep tabs on him until he goes back to New York. 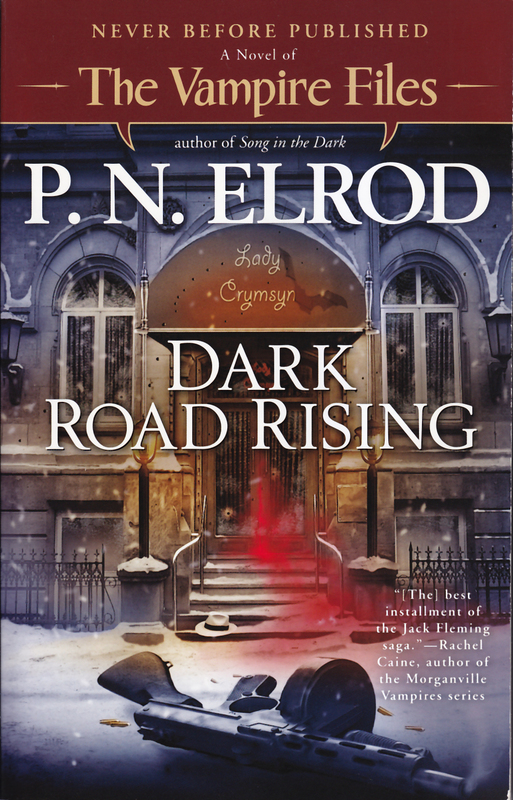 Dark Road Rising immediately follows events in the book Song in the Dark. Which I don’t have. (It’s out of print.) Luckily, having missed those the previous book didn’t have too great of an impact, since the past events were described at least enough to make sense of current events. The story is quite dark. Jack is getting past an ugly place, and Whitey Kroun, the vampire from New York is a cipher with a very black history. But the Kroun thread was the darker of the two, and we actually see events from his point of view. I quite liked this part of the story, as we slowly discovered who Kroun is, and why everyone is so nervous around him. I am glad that she put quite a bit of back story in, since we apparently missed quite a lot, and picking up the previous books to pick up the story is not going to happen until they are reissued. On the other hand, if you have no history with Jack and Escott and Bobbi, I’m not sure that you won’t be missing a good deal by starting to story here. 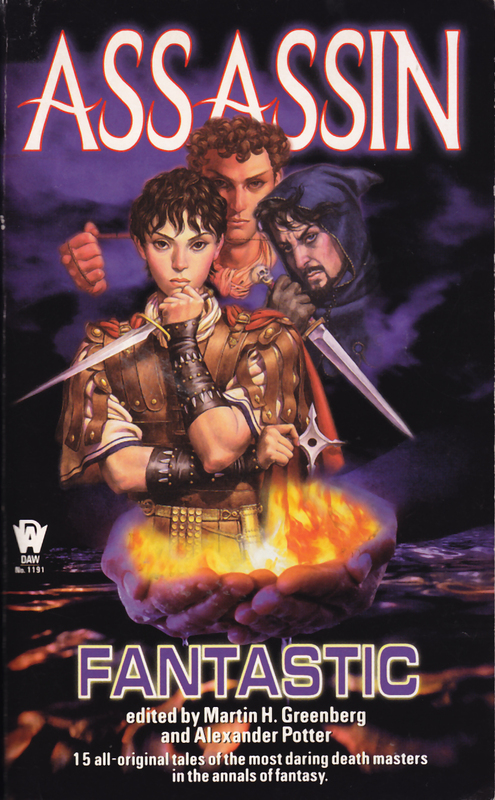 We started this series in the middle, and weren’t too enamored with the book where we began. But when we went back and started at the beginning, things made quite a bit more sense. 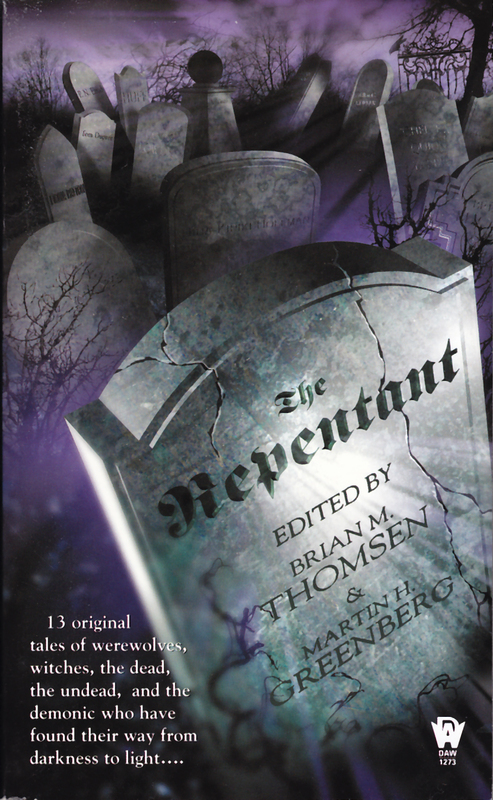 So if you have read Jack Flemming stories previously, you’ll probably want to pick up this installment. If you have not read any of the series before, I’m not sure this would be the best place to start. I like PN Elrod’s Jack Fleming series. Jack is a vampire, living in the 1930s, who works as a private eye, owns a nightclub, and quite accidentally developed ties to the Chicago mob. It’s fun, and I enjoy the setting immensely. 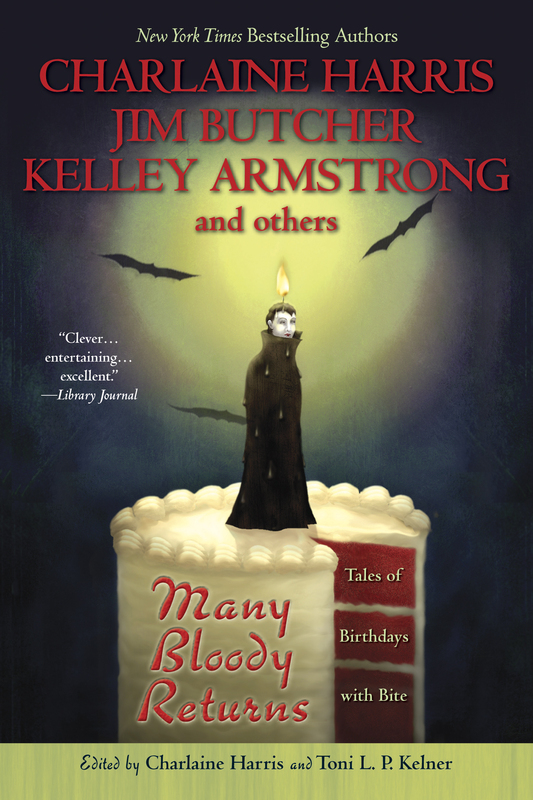 In this story, Jack receives a telegram from Jonathan Barrett, a vampire from the 1700s, telling him that the body of the woman they both loved has finally been found, and that Jack is invited to the funeral service. Barrett and Flemming don’t get along particularly well, and Jack expects a confrontation at any turn. Instead Barrett provides Flemming with a mystery–one that ends up taking them into New York city and the mobsters there. I can’t say this was my favorite Jack Flemming story. I–like Jack–found Barrett rather annoying, and found Jonathan’s 1700s worldview difficult to deal with in the 1930s–especially when both are foreign to the twenty first century. It was a difficult combination to pull off, and for me at least it didn’t work. The mystery itself was quite interesting, and I enjoyed Izzy the female reporter, but could have done with a lot less of Jack’s angst, even if it was immanently appropriate for the situation. If you have not read a Jack Flemming book, you could easily jump into the series here. But it’s certainly not the strongest story in the series, and I think you’d be better served starting elsewhere. I was really disappointed in this collection. I had, as the song goes, high hopes, but was, in the end, let down. As with Twice Upon a Time, we got stories based on the same tales, several times, when there are so many other stories out there besides Cinderella, and I can only take so much of Cinderella. 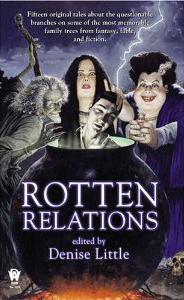 There are some good stories in this collection, such as Josepha Sherman's The Trick of the Trickster's Tricked, where we get to see the wife of Iktome, Spider, and what she's learned, living with a trickster for so long. Josepha Sherman got the Trickster tale tone perfectly. I also liked Von Jocks Thrice Told, which reminded me of a story I heard on Selected Shorts. However many of the stories came across as half-hearted attempts of the evil-doer to justify their actions. No offense, but there's enough of that in the news and media, I don't need it in my fantasy. The P.N. Elrod Jack Flemming was also good. Jack and Gordy come across a new vampire who is muscling in on Gordy's territory, and Jack has to stop him. I give up. After six months I’m about three-quarters of the way through, and haven’t enjoyed one single story I’ve read. I generally like P.N. Elrod’s stories, and I’ve read several other anthologies she has edited, all of which I’ve enjoyed, but these stories? No. Yuck. One possibility is that these are all based on Dracula (as is obvious from the title) and so they may lean more towards horror that I generally dislike. 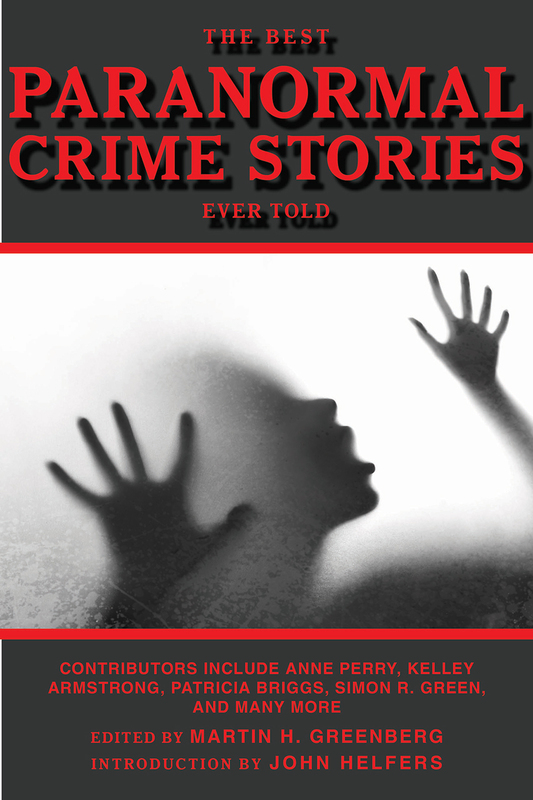 But these stories weren’t really that horrific–they didn’t leave me with that vague sense of nausea that horror often gives me. Instead, I just didn’t find them interesting. So as my gift to myself at the end of the year, I’m going to stop trying to read this anthology and move on to something else. One of the stories I particularly liked was P.N. Elrod's "All Shook Up." While catering a wedding, Frankie meets an Elvis impersonator who seems too good to be true--in more ways than one. I particularly liked how Frankie reacts to "Elvis" and tries to keep hormones from getting in the way of her good sense. Esther M. Friesner's story, "The Wedding of Wylda Serene" was also an interesting one--and I very much enjoyed the story and the crazy twists and turns it took, however, I misread an important detail at the beginning of the story, and was confused as to the gender of the storyteller. For some reason I was convinced the storyteller was a female--which lead to my consternation later on in the story. L.A. Banks' story "Spellbound" drew me in immediately. The idea of the Hatfield-McCoy being exacerbated by magic users in each family amused me, and I very much liked the writing. Michael picked up an L.A. Banks series a year or so ago. Perhaps I should pick up the first book in that series. The story that was my favorite was Susan Krinard's "...Or Forever Hold Your Peace." 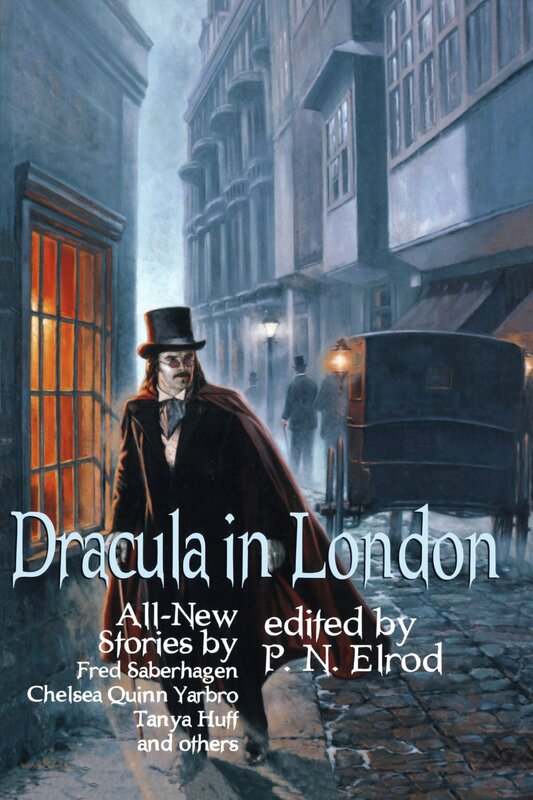 I'm very fond of stories set in a Victorian setting--even an alternative Victorian England. Sticking magic into the middle of that is just a bonus. I also liked Kit and Olivia. I searched but I didn't see any books written by Susan Krinard that have those characters. But if she writes one, I'll definitely buy it. I’d read “Stalked” by Kelley Armstrong previously, but I don’t remember when. A couple has recently gotten married, despite having been in a long term relationship with kids. Both find themselves bored by their honeymoon, but neither wants to tell the other. I sort of skimmed, since I’d read it previously. In “Her Mother’s Daughter” by P.N. Elrod, the daughter of a local mobster appears at the office, wanting Jack Fleming to find her husband, who disappeared at the reception. I like Jack Fleming, but I’m not sure I believed the resolution was really going to work out as described. Marjorie M. Liu’s story, “Where the Heart Lives” was one of the best stories, and actually stood completely on its own. You don’t have to know anything about her Dirk & Steele series to enjoy this story. The final story, “A Wulf in Groom’s Clothing” by Ronda Thompson, as another where I was wondering why these two got married, but at least by the end I thought they might have a possible chance of making it. Even if I did want to throttle the woman several times in the beginning. 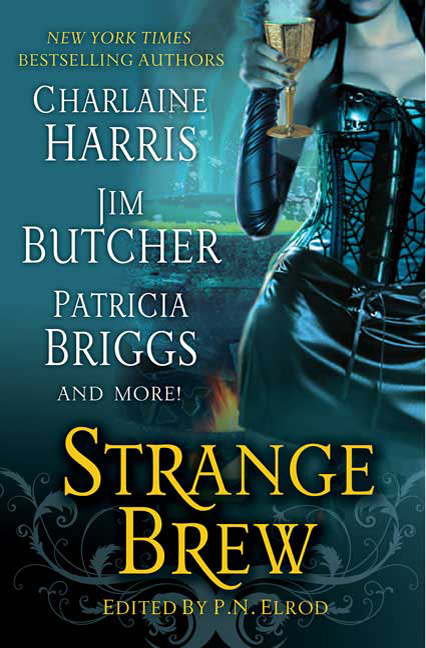 Patricia Briggs’ story “Seeing Eye” was one of my favorites. It’s set in the same world as her Mercy Thompson series, but other than a mention of the Marrock, none of the characters from that series appear. Which is a good thing, since as I noticed with some of the other stories, if you’re not familiar with the characters in the series, short stories can fail miserably at times. This one does not. Moira is a witch–a good witch–who has made sacrifices for her power. She is very unhappy when her doorbell rings in the middle of the night, with a werewolf demanding she help him recover her brother. This story does feel like it may want to be larger, with these characters continuing. Last Call by Jim Butcher was skipped, because after the series went in a direction I didn’t enjoy, I stopped taking as much enjoyment in the Harry Dresden short stories. 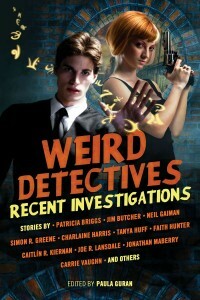 Charlaine Harris‘ story “Bacon” was somewhat vicious for her (though not so much for other authors in the horror genre). It was actually rather amusing–in a slightly different way than her normal stories. 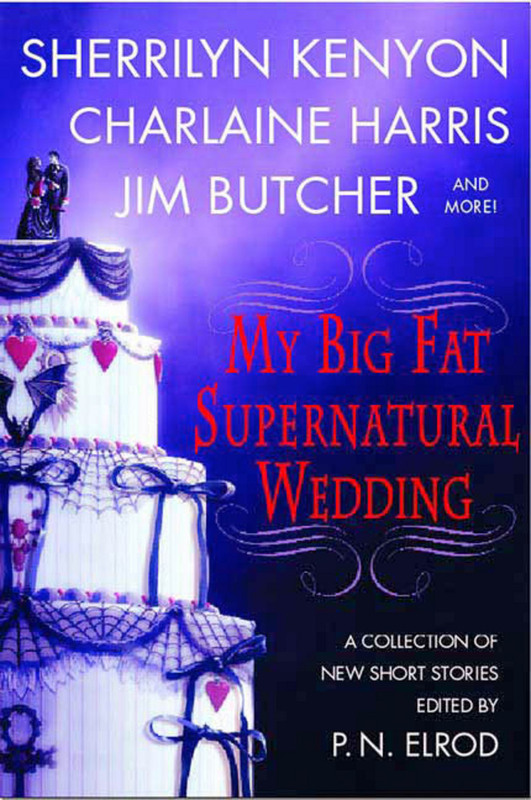 In fact, I kept forgetting that I was reading a Charlaine Harris story–but in a good way. It also wasn’t about Sookie, which was a nice change of pace. P.N. Elrod’s story, “Hectate’s Golden Eye” stars her vampire detective Jack Flemming. It doesn’t have quite as much atmosphere as her books, but the mystery is good–and does contains elements of magic that are somewhat unusual to her Jack Flemming stories. Of the authors with which I was unfamiliar, I especially liked Faith Hunter’s story “Signatures of the Dead.” It had a very feel of horror, with a good deal of death and pain wrought by the vampires in this story, but the characters were interesting and intriguing. Apparently the author is writing a book about one of the secondary characters from this story, which is a very good way to do things I think. Dark Sins by Jenna Maclaine was interesting, and although it did feel like I was missing quite a bit, she did a decent job filling in the cracks to keep me from feeling completely lost. 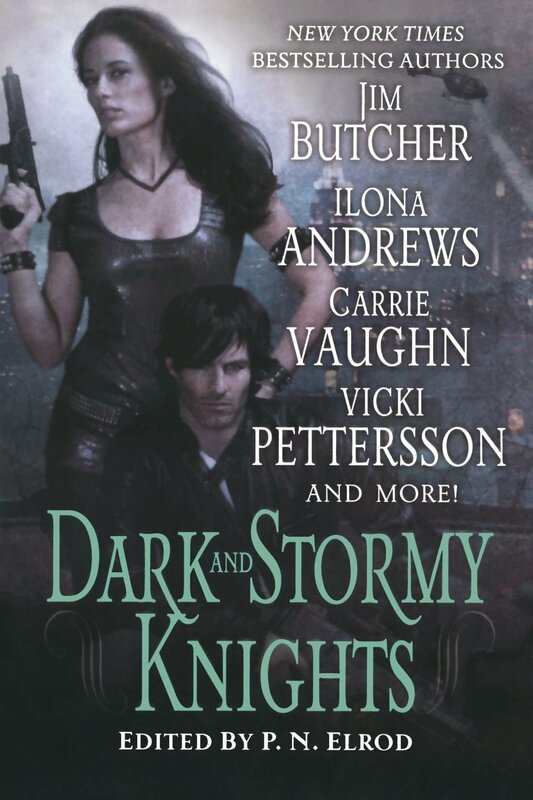 The book starts off with a current favorite author, Ilona Andrews. This is a Kate Daniels story, only set in the past, when Kate was still working for the Mercenary Guild. And we get to see how she met Saiman, which is a story well worth reading. Plus, this glimpse into Kate’s past was quite interesting. I have to admit that as much as I have been enjoying the series, I really really like independent Kate. Jack Flemming makes another appearance in P.N. Elrod‘s story “Dark Lady.” A woman shows up looking for Jack, to beg him for help saving her fiancee from the mob. Unfortunately, he double crossed Gordy (Jack’s sort of boss) so there’s not much Jack thinks he can do for her, but being a sucker for a damsel in distress, he tries to help her anyway. The final story was Carrie Vaughan‘s “God’s Creatures” which stars Cormac early in his career, before meeting Kitty. Again, I liked stepping into a characters past, and I also liked learning more about a secondary character–a nice twist that brings you into the world that already exists, but doesn’t do anything to ruin the ongoing storyline if you’re not familiar with the author. “Hecate’s Golden Eye” by P.N. 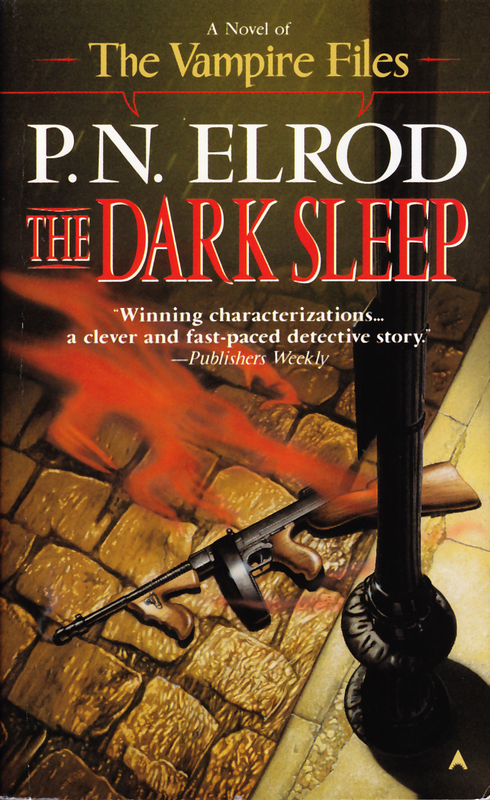 Elrod is a story I’d read before. Jack Fleming helps his partner Charles Escott attempt to recover a stolen necklace. I can’t say this is one of my favorite Jack Fleming stories, but it wasn’t terrible.